AV systems complete intuitively designed learning spaces for students of design, arts and fashion? 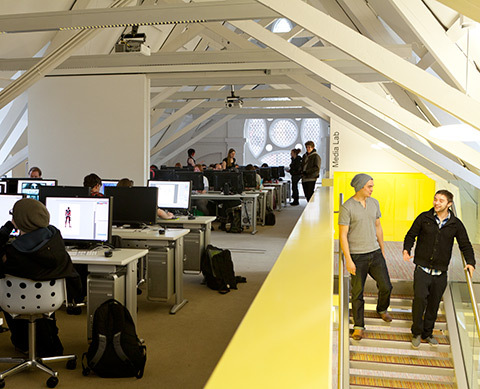 Established in 1845 as an independent art and design University, NUA has built its reputation over 170 years for excellence in arts, media, design and fashion. 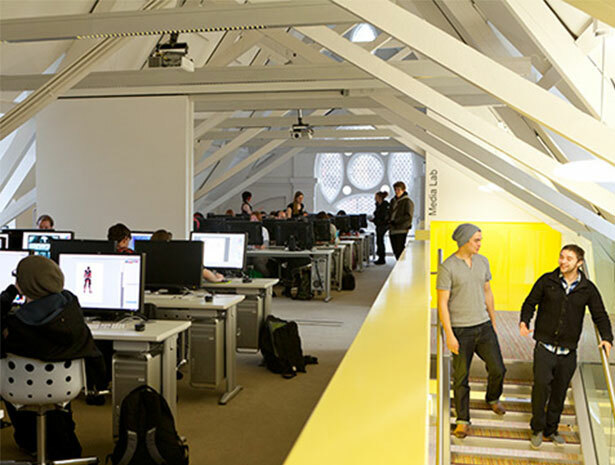 The institution has produced a distinguished list of notable alumni, including Keith Chapman (creator of the animated series, Bob the Builder) and others who have headed design and brand development for names including Wimbledon Championships, Formula 1 and Air Asia. NUA retains its heritage and continues to be based in the Victorian School Building where it all began. 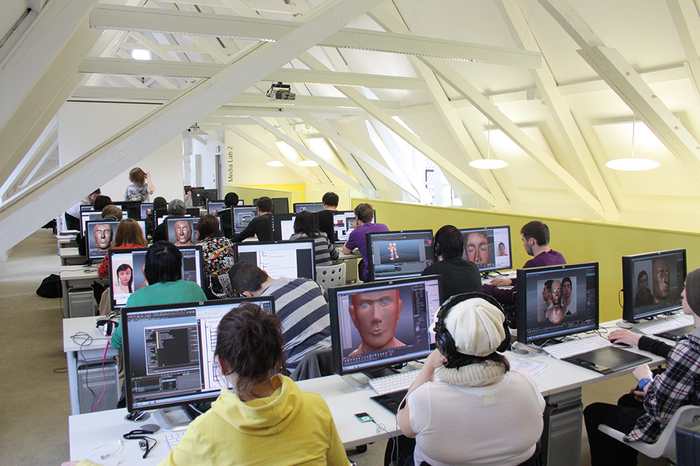 However, NUA is also an institution of international reputation with an appetite for technology and exploring the future of instruction/learning. After a competitive tender submission, Snelling Business Systems designed and installed AV systems as part of the £1.5 million refurbishment to the Victorian school building. 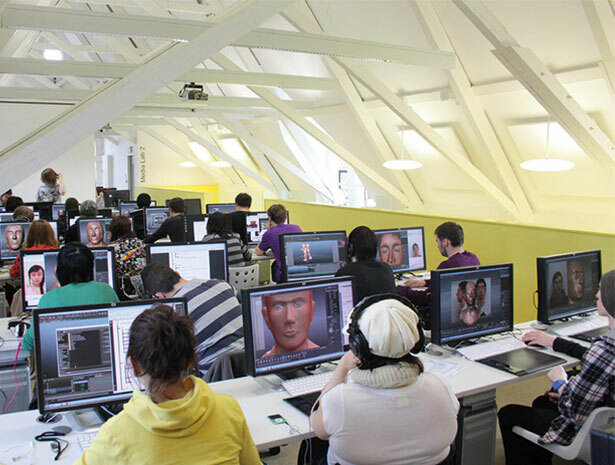 This investment was critical to ensure that the University’s Animation and Games Art & Design courses could be positioned as a UK leading media and design education choice for students. Installations and completed on time for the new academic year and to budget. The two Media Labs were equipped with a control system capable of joining two rooms, with ceiling mounted LCD projection equipment and a bespoke sliding screen. Seamless presentation switcher-scalers with sources including iMac, BluRay and auxiliary inputs, engineered audio systems with wireless microphone systems and a rack enclosure within custom-built millwork housing. The Lecture/Seminar Room was equipped with a ceiling mounted LCD projector, bespoke branded lectern with an integrated control system and an automated electric projection screen within the architectural recess. Sources include iMac, BluRay and AUX, besides a 5.1 DTS surround sound system. To complete the systems for two seminar rooms, A 50″ full HD displays and a mobile trolley housing iMac and BluRay were equipped with digital signage systems, featuring a recessed 65″ full HD display, to work with the client-issued signage system. Boardman House– teaching spaces with Full HD projection, integrated media furniture and audio systems. › Full HD Product Cam: to monitor the user’s hand movements on the mouse or smartphone. › Panasonic Wide Angle HD Face Camera: wide angle shot of the user at the testing console. › 2 x Full HD PTZ Cameras: to track and monitor the user’s face movements and facial expressions. › Diagonally placed cameras to monitor the user’s body language. In addition, the incubation room has a ‘6G HD-SDI virtual video production suite’ where systems were installed to receive and combine four camera signals received from the users, along with a duplicate feed from the equipment used by the user. Under virtual control, these feeds allow the in-house user experience testing software to collect vital data for further product R&D. Learn more about our working relationship with the University. Download the casebook.